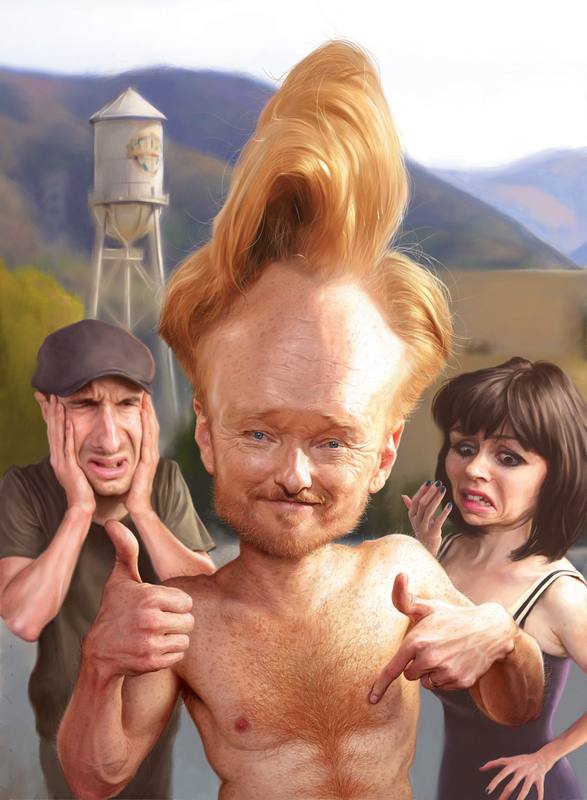 I've been a big fan of Conan O'Brien's for many years now. As most of you probably know, Conan has gone through a lot this past year and I personally feel it's for the best. His new show is better than ever and blows away the other late night shows. I wanted to create a new caricature piece for my portfolio so I decided to paint Conan. I wanted something that "felt" like his show, and something that I could imagine seeing on his show. My goal was to capture the spirit and character of the new Conan.